Bernardo Giordano, a computer engineer, took to social media a few days ago to announce that he has a working save manager prototype for the Nintendo Switch. It allows users to create back-up save files for games. There’s reason to be excited: Giordano previously worked on “Checkpoint,” a known user-friendly save manager for the 3DS, as well as PKSM, a Pokémon save manager. It seems reasonable to believe Giordano has the expertise to make a save manager for the Switch, too. Earlier this year, Giordano says he completely rewrote Checkpoint to work with the Switch, user-interface and everything. “The implementation work didn’t take long, around 2 weeks,” Giordano told Kotaku. The process was relatively quick because of the experience he gained working with 3DS homebrew libraries while developing Checkpoint, Giordano said. To prove that his Switch creation is legit, Giordano sent Kotaku a couple more images of the save manager in action. “The first one shows another list of games that are being recognized by Checkpoint and the other one shows the screen where the user is meant to choose a name for their save backup,” Giordano said. it is in testing, but source code will be uploaded to Giordano’s GitHub later this year. For now, there’s no set release date. “The only [people] that have [access] to copies of Checkpoint and its source code are a little bunch of testers (thank you guys!) and some reputable developers in the scene, which troubleshooted with me in the last stages of development,” Giordano said. Nintendo did not respond to a request for comment. The Nintendo 3DS supported save back-ups, letting players put them on an SD card and store them on a computer. 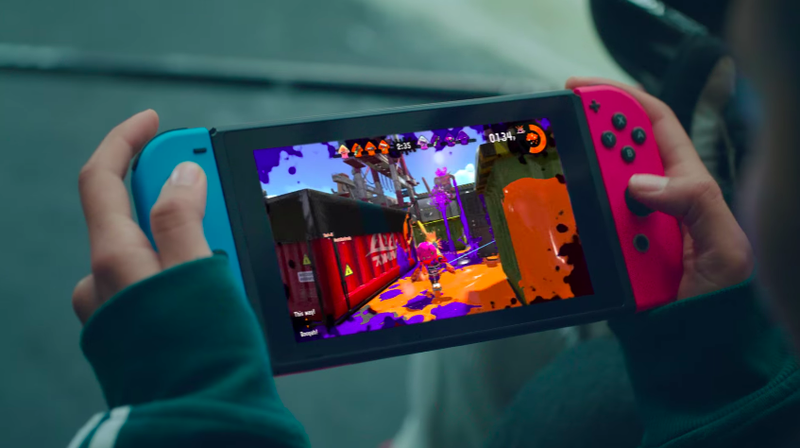 After launch, Nintendo updated the Switch to allow saves to be transferred from one Switch console to another, but it has not supported any method for backing them up on a card, a computer or in the cloud. If a save manager solution is so easy to implement for someone like Giordano, why has Nintendo not released something official yet? He has a theory. Previously, both the 3DS and Wii U were cracked enough to suffer piracy problems, with major games leaking days if not weeks in advance. So far, the Switch has avoided those issues, and Nintendo has even created a bounty program that rewards people for finding vulnerabilities on the system. Given Nintendo’s tussles with piracy in the past, I’m inclined to believe Giordano’s theory, but all the same, I would love the security of knowing my data can’t just be lost into the void.